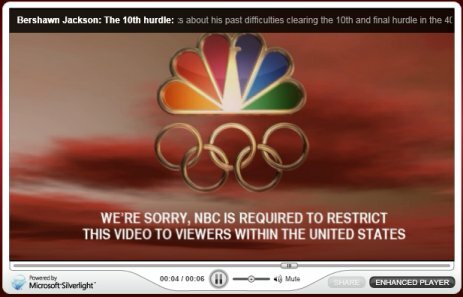 Looks like I’ll be missing out on Silverlight’s big moment – the NBC Olympics site. Annoyingly, it was happy to display the pre-roll ad. I’ll be interested to know how Silverlight and the streaming servers for this event perform. Why don’t use some US proxy to try?